I obtained my real estate license in 2006 and have been in the top 20% of my brokerages every year since 2007, and am currently producing over 6 million in sales each year. I have been with Metro Brokers, Keller Williams, Crye-Leike Realtors and now I have found my home at Crowe Realty, where I am also the training manager. My daughter was licensed in 2015 and we have formed "The Bell Team". Our tag team effort has proven to be a great success as we strive to serve more and more clients each and every year. I have been in Henry County since 1987 and am married with 2 grown children. I enjoy spending time with my family, shopping, horseback riding and selling real estate! 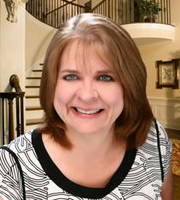 I specialize in first time home buyers, retirees and everything in between. How can I make your dreams come true?